It was 8:30 in the morning our journey came to an end when 12312 down Kalka mail reached Howrah Station on 26th October 2015. I, My wife & my son slowly reaching towards ticket counter at Howrah station after de boarding from Kalka Mail to purchase further local train tickets to reach our home. This was a mesmerising journey that we never forgot. Our journey started at 16th October & now ends at 26th October. How would these ten days pass we never know. That is called the magic or blessings whatever you say resides in Debbhumi Kinnaur. Here I would share how I have seen Kinnaur in October & all the related essential informations without further elaborating this TR. Hope to see a great TR and wonderful photographs!! I think after Puja this year, there's going to be a bumper crop of TRs in all subforums. Lovely. We woke up at 6:30 AM. It was Mughal Sarai Junction. The train was running on time. Let me tell you something about Kalka Mail. 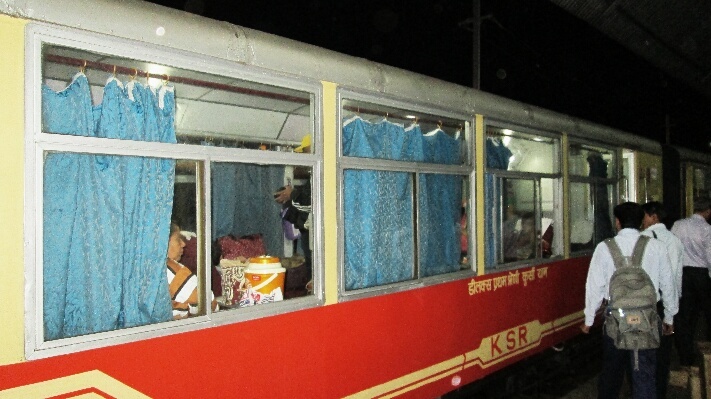 I think this legendary Kalka mail is the only train in India where you will get all type of classes – 1St AC, 2 tire AC, 3 tire AC, Sleeper Class, 2nd sitting, General classes & Pantry car. I also observed that this train is having enough buffer time during its journey but surprisingly still it is getting late & it is mostly in Kanpur, Allhabad & Delhi before entering to these stations. 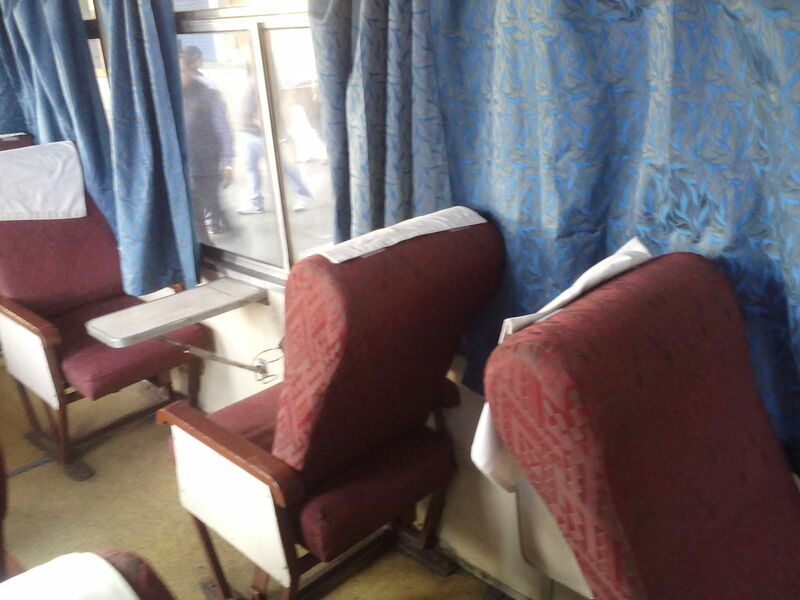 AC coaches are ok but Sleeper class coaches demand attention in terms of cleanness. You can depend on the pantry services on the train, food are not bad. Meals on Wheels are managing the pantry car in this train. Rest of the day journey was tiring. Nothing special to mention here. Train reached Kalka station at 4:45 AM with 15 minutes late. 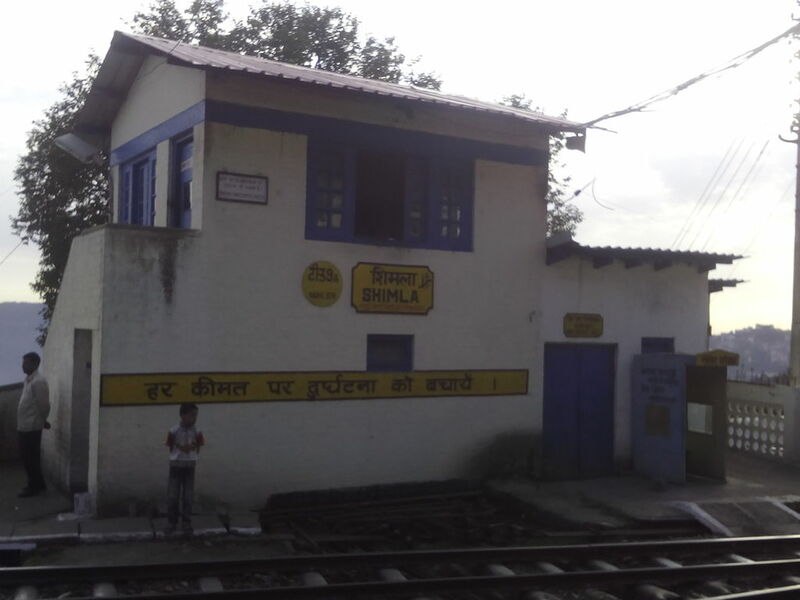 After de boarding from train we were approaching towards narrow-gauge station in Kalka where the famous toy train Shivalik Deluxe express was waiting for us. Surprisingly no name plate was available in any toy train. 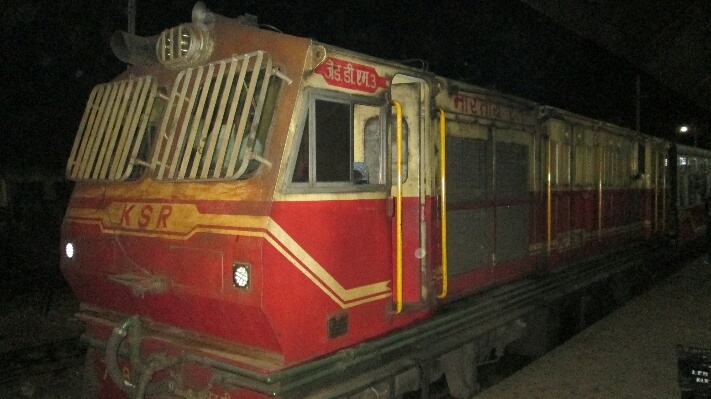 You have to identify the trains by seeing the coaches. Still 30 minutes to leave the train so we have taken some snaps. Shivalik deluxe started its journey exactly at 5:30 AM. First twenty minutes there was dark outside but when the first sun light fall in the hills, nature revealed its treasure. All of us just spellbound to see the beauty. Entire journey from Kalka to Shimla took approx 5 hours & crossed 103 no of tunnels. 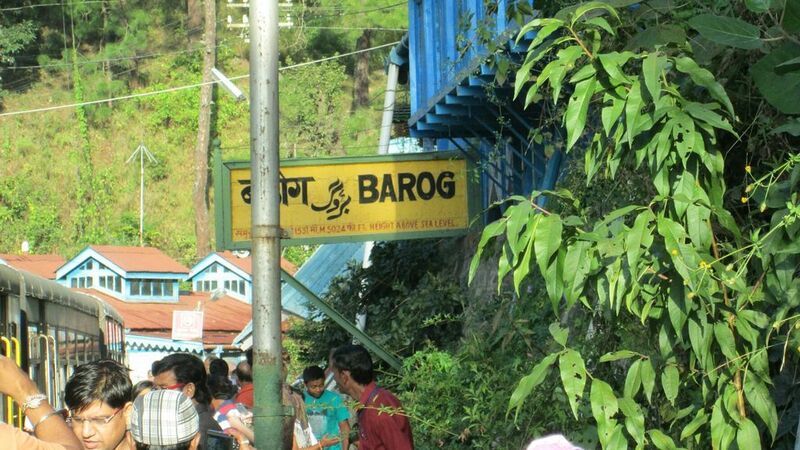 The train crossed the longer tunnel before entering Barog station taking approx 2 minutes. 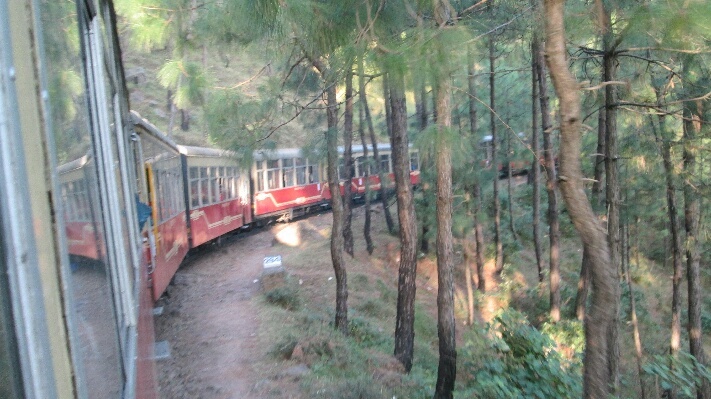 Train stopped at Barog to take breakfast. Breakfast was good but in return journey dinner served by them was worst. Bad smell was coming out from food. 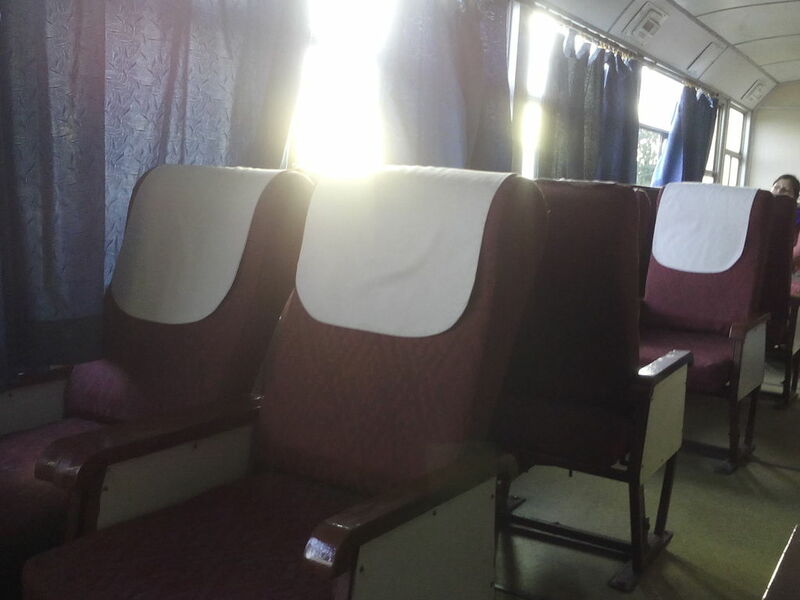 In each compartment only 18 seats are available so it is a relax journey in this train & that is why It is the most recommended train in this route. 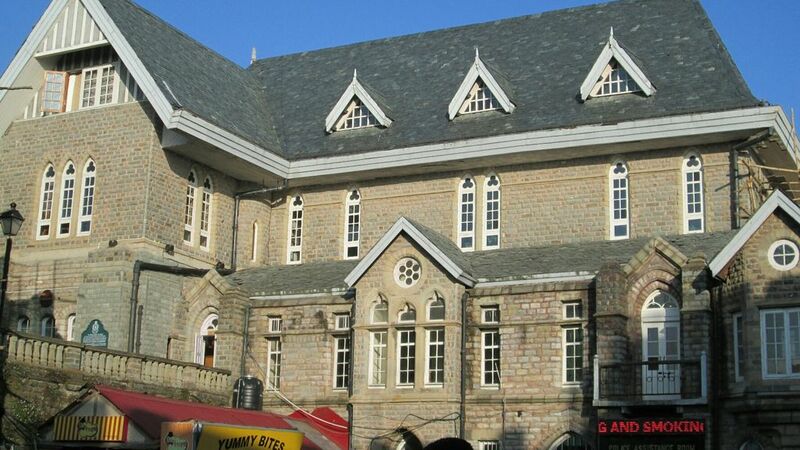 It reached Shimla at sharp 10:30 AM.